It could take years to surmount the purely emotional Eurobond objections from fiscally prudent nations. NEW YORK ( TheStreet) -- Does anyone remember how long it took to approve the EU's Lisbon Treaty? From proposal to final signatures, it was eight years. The Treaty increased the power of the EU to make decisions on behalf of its members. The Treaty however, does not cover decisions on things like Eurobonds that would provide payment guarantees by all EU members. This means that unanimous approval is required to amend The Treaty. This will take some work. All eyes have been on Germany which has expressed opposition to the Eurobond on financial and legal grounds. Since the German constitution forbids transferring any budget-related competencies to a European institution, Germany won't be approving a Eurobond amendment without an amendment to the German constitution, which won't be easy to obtain. Germany is not the only country that has voiced opposition to a Eurobond. Austria, Finland, The Netherlands, the Czech Republic, Slovenia and Slovakia have all expressed opposition. It's no surprise that these countries have been keeping their finances in order. The EU does have a good track record for developing consensus on controversial issues. This one though does have some special thorns. People have a way of getting very excited about giving away their own money. To approve the Lisbon Treaty, five countries took the decision to the people. Holding referendums takes time, especially if they have to occur more than once. There could easily be at least five countries holding referendums to approve the issuance of Eurobonds. Too many politicians know that without popular consent, this could be a career, party and even country limiting move. There could also be more constitutional issues beyond Germany's that must be ruled on and resolved. Approving an amendment though is possible, but things are likely to get ugly first. Club Med is now a common term that refers to Portugal, Italy, Greece and Spain. Suffice it to say it is not a term of endearment. Relative to the EU member states, Club Med countries generally have higher rates of corruption, with Italy and Greece leading this category. They also have greater problems with the rule of law, with Italy and Greece leading the pack again. Educational attainment is relatively low, country competitiveness is low and labor market efficiency is low. This list could go on, but the point is that the Club Med countries behave very differently, from the non Club Med countries and it is not in any flattering way. There are probably going to be some reasonable arguments for why Eurobonds are in every member state's interest but many of these arguments will be complex. It could take years to surmount the purely emotional objections from fiscally prudent nations in order to convince them that it's in their interests to use their hard earned money to subsidize Club Med, even if Club Med really and truly vows this time to behave more responsibly. 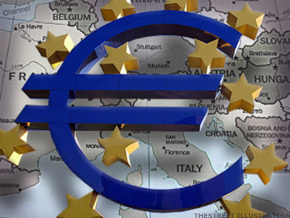 Who knows, in the future, the EU's overall economy might be humming again, in spite of the obstacles of paying off debts and aging and declining populations. In this were to occur, the EU member states may be in a more charitable mood and approvals might flow. The odds are slim, but anything is possible. It really is too bad that the EU is not a political union that could operate like the Chinese government that makes things happen in a New York second. The Eurobond panacea might seem closer to reality.